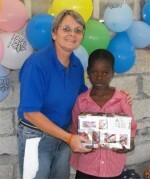 What an honour to be the first Barbadian to visit Maranatha Ministry and see what a good work God is doing in St Marc. 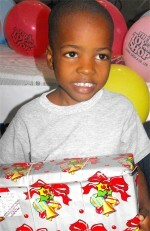 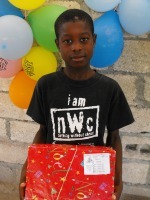 This ministry has been supported in the past by Power in the Blood church in Barbados and their children wrapped and packed Make Jesus Smile shoeboxes specially for these orphans. 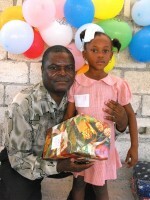 Thanks to Pastor Pierre Banes LAURORE the National Director of Evangelism Explosion in Haiti that travelled with Jenny and assisted with the distribution. 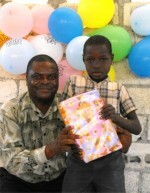 Praise God during every Children's Outreach Party the Salvation message was brought using the Kids EE program. 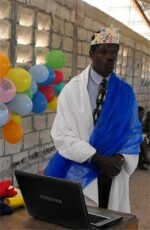 Seen here Pastor Pierre Banes demonstrating that Jesus is God, He came from Heaven to earth.He lived a perfect life. 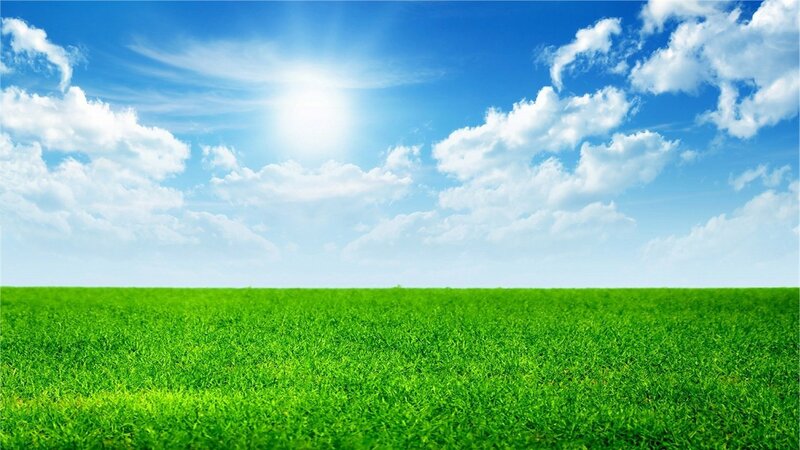 He died on the cross and rose from the dead, to pay the penalty for our sins and to purchase a place in Heaven for us. 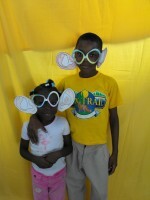 Click to visit our most recent trip to the Maranatha Ministry... the Kids' EE Teacher Training Summer Camp. 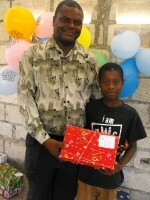 Thanks to Power in the Blood that sponsored this camp. 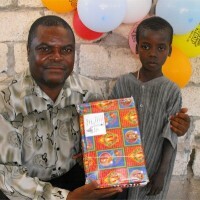 Seen here Pastor Anous Nordeus the founder of Maranatha Ministries a humble man of God who walks in Faith. 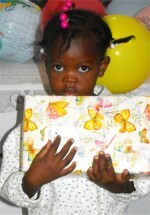 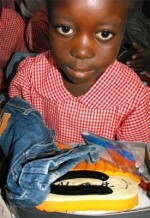 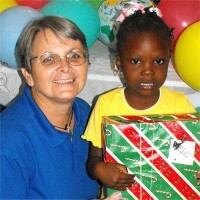 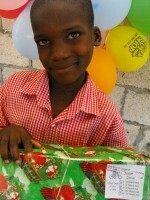 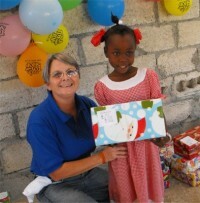 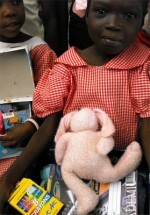 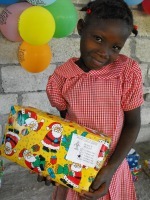 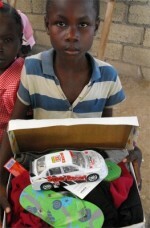 Distirbuting the Make Jesus Smile shoeboxes to the orphans. 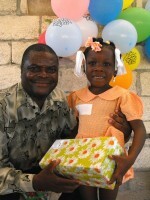 Thanks to the children of Power in the Blood that wrapped and packed these beautiful Make Jesus Smile shoebox for the children of Haiti. 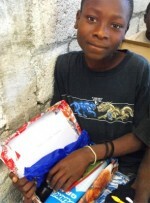 Thanks to the children from the Sunday School at Hillaby Christian Mission Church in Barbados that did a wonderful job at wrapping and packing Make Jesus Smile shoeboxes for the children of Haiti. 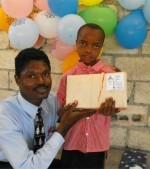 Thanks to the children of the Abundant Life Assembly Sunday School that once again this year prepared hundreds of Make Jesus Smile shoeboxes which were distributed all over Haiti. 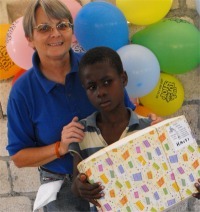 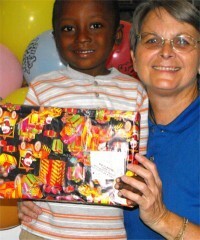 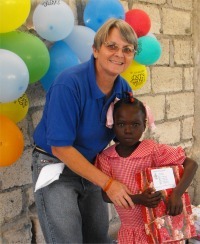 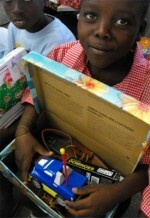 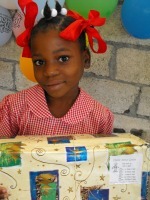 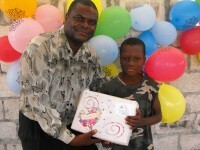 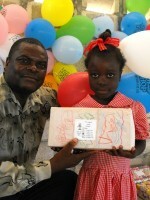 Boxes packed by the children of Barbados were also distributed to the children of the Maranatha Ministry school. 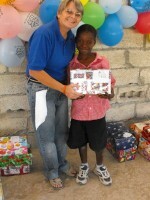 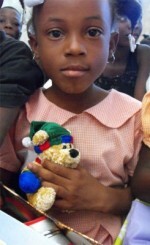 All of these children are available to be sponsored through Maranatha Ministry in Haiti. 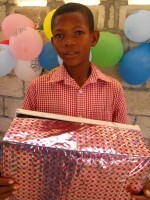 We are trusting God to open doors of opportunity within the Power In The Blood church in Barbados to get these children sponsored. 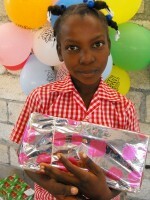 25 people taking part in the Child Sponsorship Feeding Program could feed 500 children for a year!